We're going to visit Blue Heron Farm, a small, family-owned goat dairy dedicated to producing high quality, healthful foods in a sustainable manner. Their specialty is goat cheese. 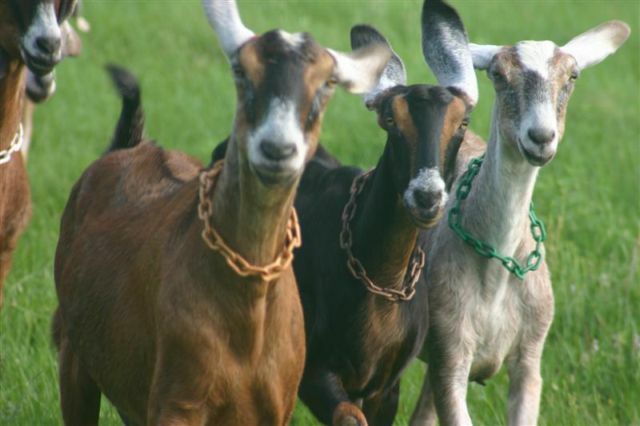 We'll have the opportunity to tour the farm, meet the "girls," and even sample some of their delicious goat cheese. 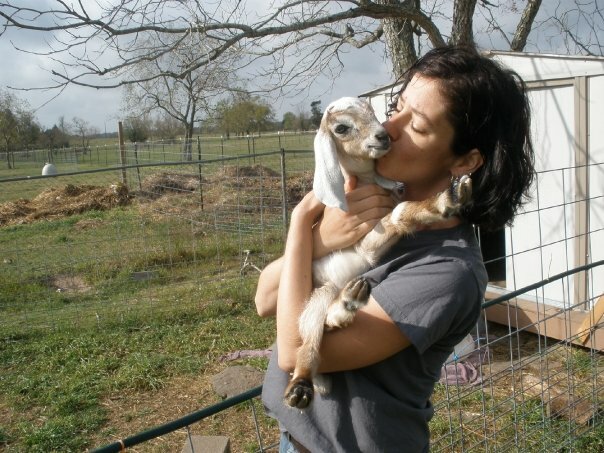 It's kidding season, so we can even play with the baby goats! Be sure to check out all the great farm photos on their website. Please keep your attendance status current as there are limited spots and I need to provide an exact count. If you are signed up and then realize you cannot attend, please remove your name (Member Links/ My Events/ Withdraw) to give someone else the opportunity. This event is weather-dependent; we may cancel if it rains. The goats dislike rain and will not leave the barn on rainy days. If there is any doubt, please call me first. This is not a private tour; there will be other groups in attendance. Please wear socks and shoes as there are some prickly plants on the farm. There is no restroom at the farm; please visit Buc-ee's (nicer) or Valero convenience store (closer) prior to the farm visit. Lisa from BHF sells their goat cheese at the farmers markets, but get there early as she sells out quickly. She also sells their goat cheese at select shops; see the Products page on their website for more details. 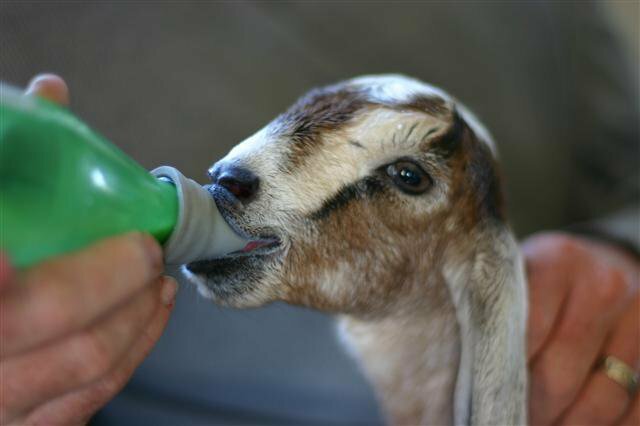 Event Summary: We're going to visit Blue Heron Farm, a small, family-owned goat dairy dedicated to producing high quality, healthful foods in a sustainable manner. Their specialty is goat cheese.